Self-Service is an all-in-one portal for students to access information about their degree plan, view their class schedule, and register for courses. Please scroll down to access tutorial videos on how to use the software. 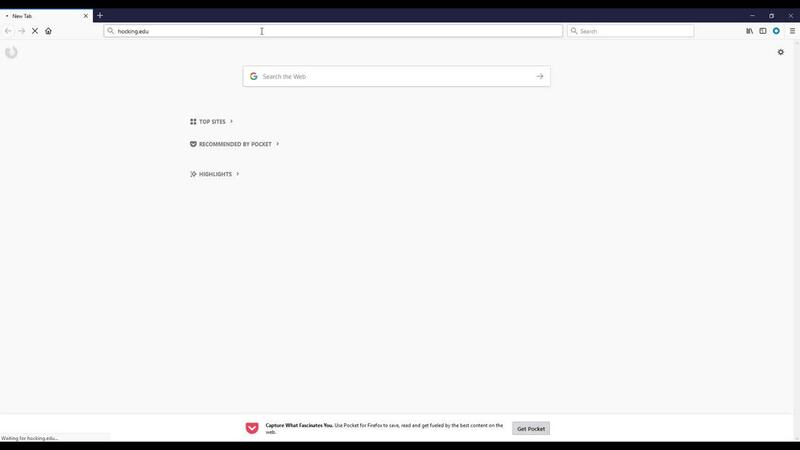 You can also view our Self-Service Tutorial Playlist on YouTube by clicking here. In this tutorial, learn how to access the Hocking College Student Self Service Portal. You can also view this video file on Youtube by clicking here. 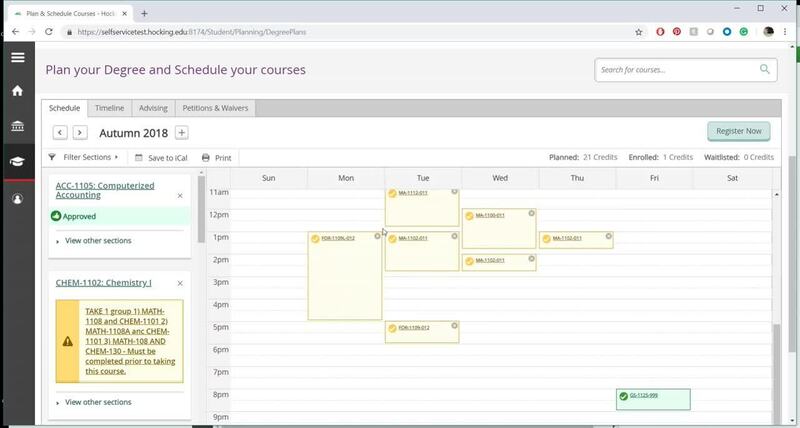 In this tutorial, learn how to add courses to your course plan. 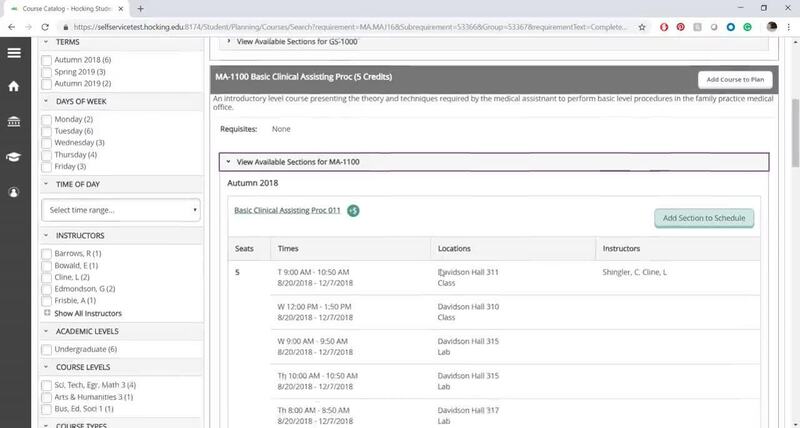 In this tutorial, learn how to register for classes.